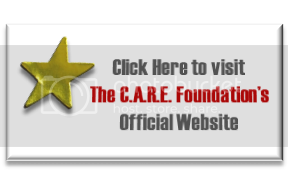 The Nonprofit Leaderships that C.A.R.E. Philanthropy is often seen as society’s risk capital. That means the onus is on philanthropists, nonprofit leaders and social entrepreneurs to innovate. But philanthropic innovation is not just about creating something new. It also means applying new thinking to old problems, processes and systems. Increasingly, I’m inspired by entrepreneurs who run nonprofit organizations that fund themselves, or for-profit organizations that achieve social missions while turning a profit. Actively deciding to give to causes that move you deeply is far more fulfilling than the momentary gratification derived from signing a check and mailing it to a nonprofit about which you know little more than what’s on the brochure they sent you. Just the service aspect of running a nonprofit is so gratifying because it takes the attention off yourself. I’m not an acting monk or anything. I’m not, like, the most well-adjusted actor. But it’s really designed to focus on yourself, or it can be. So it’s good to have something else to focus on that reminds you that it’s not always about you. My children have been learning lessons about entrepreneurship since they were in kindergarten, and these lessons are paying off: even though they are only 22, 18, and 15, they have already collectively launched three nonprofit organizations and several new businesses.